"To ensure that entities implementing these critical programs continue to meet high standards of program effectiveness and integrity, USDA is proposing a series of program improvements that address only those programs with systemic and significant program violations, such as theft of funds and financial mismanagement, to safeguard the integrity of Child Nutrition Programs and taxpayer dollars," the spokesperson said. 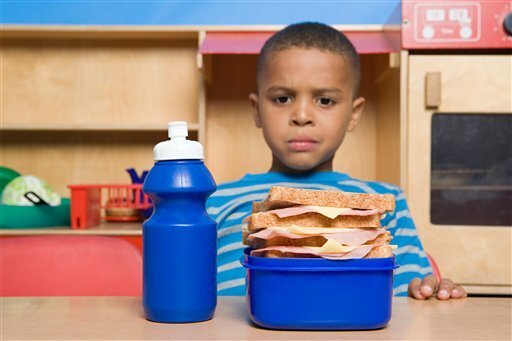 The regulation would punish schools and state departments with fines for "egregious or persistent disregard" for the lunch rules that imposed sodium and calorie limits and banned white grains. A West Virginia preschool teacher was threatened with fines for violating the rules by rewarding her students with candy for good behavior in June 2015. The teacher ultimately did not have to pay, but the school had to develop a "corrective action plan" with training on the policies. The government now seeks to make fines enforceable by regulation. Section 303 of the law requires that the federal government "establish criteria for the imposition of fines" for all the Department of Agriculture’s child food programs. "Under section 303, the Secretary or a State agency may establish an assessment against any school food authority or school administering the Child Nutrition Programs if the Secretary or the State agency determines that the school or school food authority failed to correct severe mismanagement of any program, failed to correct repeated violations of program requirements, or disregarded a requirement of which they have been informed," the proposed rule states. The government insisted that fines would be limited only to schools, school food authorities, and state agencies that have "failed to correct severe mismanagement of any program, disregarded a requirement of which it has been informed, or failed to correct repeated violations of program requirements." "It is important to note that the statutory scheme only anticipates assessments be established in instances of severe mismanagement of a program, disregard of a program requirement of which the program operator had been informed, or failure to correct repeated violations [emphasis in original]," according to the proposed regulation. "These criteria suggest that violations that would result in assessments would be egregious or persistent in nature, remaining unresolved after the normal monitoring and oversight activities have failed to secure corrective action." The Food and Nutrition Service is targeting schools that refuse to comply with Mrs. Obama’s lunch rules and said monetary penalties are a "useful tool" to get noncompliant cafeterias in line. "However, there have been cases, albeit few, where program operators have failed to correct Program violations through the normal administrative review requirements and technical assistance," the agency said. "This proposed rule would provide both the Department and State agencies the authority to establish an assessment after the normal monitoring and oversight activities have been unsuccessful in correcting program violations." "The Department anticipates assessments would be established only on rare occasions in securing corrective action," they added. "However, it should serve as a useful tool when egregious or persistent disregard of Program requirements occurs." The fines would be the latest consequence of the healthy eating law that Mrs. Obama lobbied for in 2010. More than 1.4 million students have left the lunch line since the rules went into effect, as students have complained of small portions and unappetizing fare. The standards have been blamed for cafeteria workers losing their jobs, and some kids have even resorted to creating black markets for salt to add flavor. Calling the fines an "assessment" against a school, the agency said the fines would amount to 1 percent of the total amount the school was reimbursed for lunches for the first fine. A second fine would equal up to 5 percent of the total meal reimbursements, and 10 percent for a third or subsequent fine. The fines could be hefty if an entire state agency were flagged for persistent violations. For instance, Alabama received $210,937,195 in cash payments through the school lunch program in 2015. One percent would total $2.1 million. A 10 percent fine would cost $21 million. The Food and Nutrition Service did not respond to a request for comment on the proposed rule, or how much the estimated fines would total. The agency said in the proposed regulation that the fines are "intended to improve the integrity." The proposed rule would also apply to private organizations participating in federal childcare nutrition programs, including "institutions, sites, sponsors, day care centers, and day care providers." The agency said they would allow schools to appeal the fines "given the fiscal consequences of this provision." The rule would also give the agency the authority to terminate any school’s participation in the National School Lunch Program if they do not pay the fines. Increased monitoring of state agencies as a result of the rule would cost states $4.3 million in 2017, and $22.7 million over five years. The rule will be open for public comment for 60 days once it is officially published in the Federal Register on Tuesday. This entry was posted in Issues and tagged Education, Health Care, Let's Move, Michelle Obama. Bookmark the permalink.